​Wattblock specializes in cutting energy costs for strata by up to 80%. landlords don't get the property valuations they deserve. 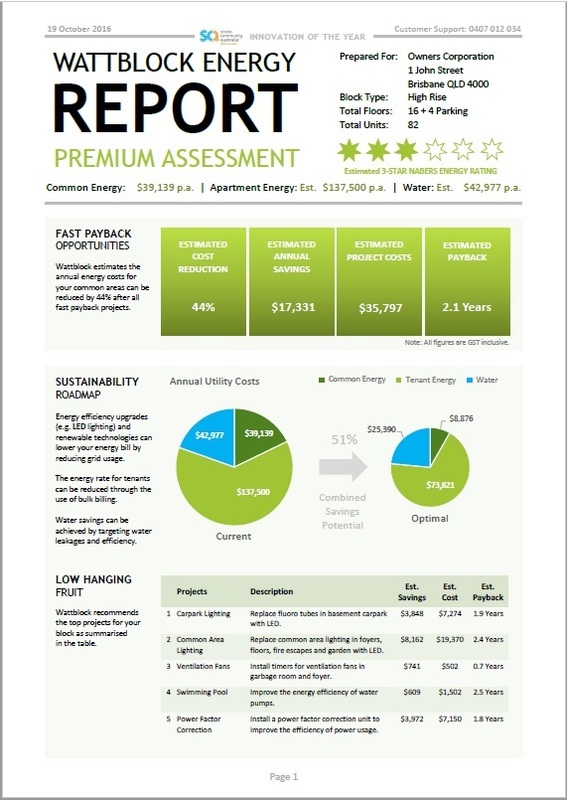 Any unit owner or tenant can get started with a free Wattblock Energy Assessment for their building. Wattblock uses data analytics to estimate energy waste in buildings by comparing your building to data driven benchmarks. There is no need for expensive on site energy auditors to get started on energy efficiency initiatives, reducing waste, saving money, and saving the environment. Wattblock has assisted hundreds of buildings across Australia to identify and quantify energy waste and to raise awareness with executive committees and strata managers. Wattblock has assisted buildings with energy tariff optimisation, planning energy efficiency projects, product and service selection, financing and planning ahead for solar, batteries, electric vehicle recharge and embedded electrical networks. Wattblock customers have achieved up to 78% reduction in common area electricity billing and have over exceeded their share of Australia's national 2020 carbon reduction targets by 257%. Wattblock is working with local councils and mapping energy waste in apartment buildings in local communities all around Australia. We have an Environment Innovation Grant with the City of Sydney to tackle what has been a very challenging issue for them and for many local councils. Apartment buildings are among the biggest wasters in the community and have proven to be very difficult to engage and mobilize on energy efficiency. At Wattblock we believe the solution lies in lowering barriers and eliminating unnecessary costs involved in providing buildings with specific information about their buildings. 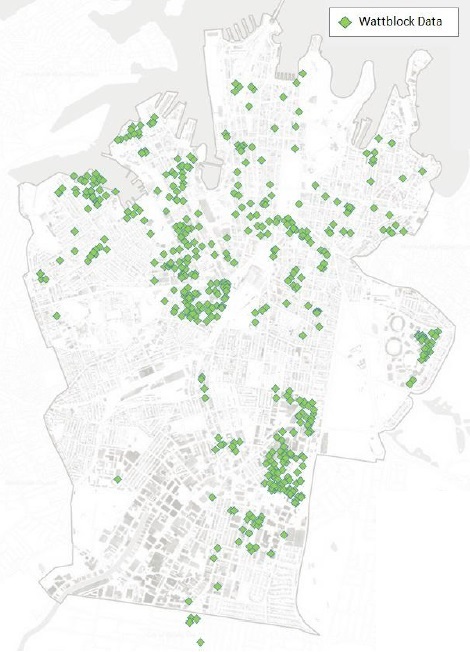 Wattblock has enough data to report on Australia's 480,000 apartment buildings. We provide the right level of information in a format that is easy to understand to share within a committee environment. Read our news articles more information about the kinds of projects Wattblock recommends in assisting buildings improve their energy efficiency. Wattblock was founded by Brent Clark and Ross McIntyre. In October 2014, Wattblock was selected to join the Telstra's muru-D startup accelerator program and received equity investment from Australia's largest telecommunications company. ​Brent Clark, was previously a Chairperson of a residential apartment building which ran 13 energy saving initiatives over a 3 year period to reduce common area energy costs by 77%. Ross McIntyre brought his skills in business intelligence to the problem of energy waste in apartment buildings, following 8 years at First Data and data analysis work for Westpac Bank. 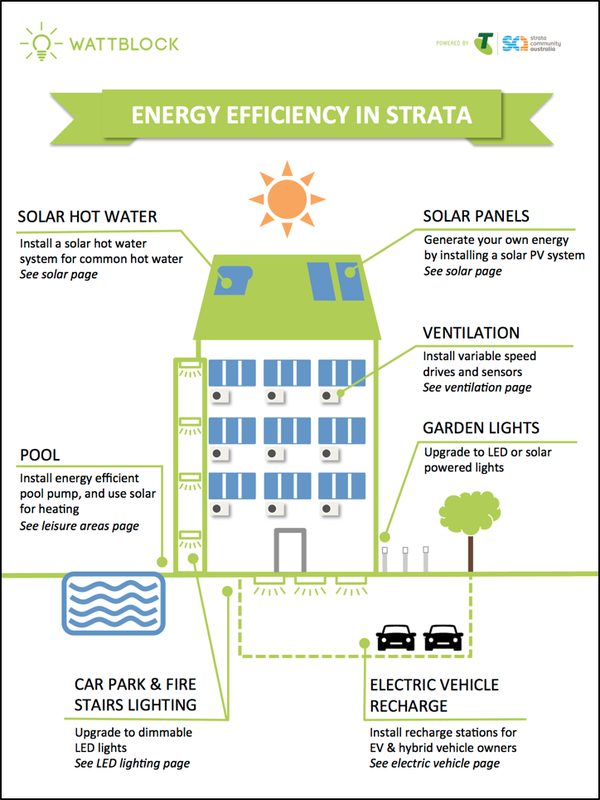 Wattblock has now assisted over 1,000 multi-tenant buildings across Australia and has upgraded 81 strata buildings for energy efficiency and renewable energy. ​In November 2014, Wattblock won the 1776 Challenge Cup - Sydney (Energy and Sustainability). In December 2014, Wattblock created a relationship with University of New South Wale's "NS Innovations" team. UNSW creates more startups than any other Australian university and provides high quality student resources for challenging tasks. In January 2015, Wattblock was accepted into Microsoft's CityNext program to create tomorrow's smart cities. In Februrary 2015, Wattblock was selected for the Australian Graduate School of Management's "Startup Entrepreneurship program", receiving international MBA interns from Australia's leading business school. In March 2015, Wattblock went on a China Trade Mission to Shanghai, Shenzhen and Beijing with Telstra's muru-D. In April 2015, Wattblock returned to Shenzhen, China as state guests also visiting Zhuhai and Hong Kong. In May 2015, Wattblock was awarded Australia's "Best Social Change Entrepreneur" by StartupSmart. In May 2015, Wattblock was a finalist in CEBIT Australia's "Best Community Support" award. In May 2015, Wattblock was runner-up in CEBIT Australia's "Startup Pitch" competition receiving the award from Shark Tank's, Naomi Simson. In May 2015, Wattblock graduated from the muru-D accelerator with demo night being held at Telstra's Customer Experience Centre. In May 2015, Wattblock presented at the 1776 Challenge Cup in Washington D.C., also visiting New York and San Francisco. In August 2015, Wattblock established a Brisbane Office in conjunction with River City Labs and on-boarded Scott Witheridge as Queensland Regional Manager. In September 2015, Wattblock was invited to the Korean Startup conference in Seoul. In January 2016, Wattblock collaborated with Advance Queensland and Griffith University as part of the Knowledge Transfer Partnership Grant program. In February 2016, Wattblock became an energy broker in NSW, Victoria and South Australia. In June 2016, Wattblock was accepted into the Michael Crouch Innovation Centre at the UNSW as part of the "Catalyst in Residence" program. In July 2016, Wattblock acknowledged the development of this solution has been supported in part by the Department of Industry, Skills and Regional Development through the NSW Innovate program. In October 2017, Strata Manager for Regis Towers was awarded Smart Green Apartments "Strata Manager of the Year"